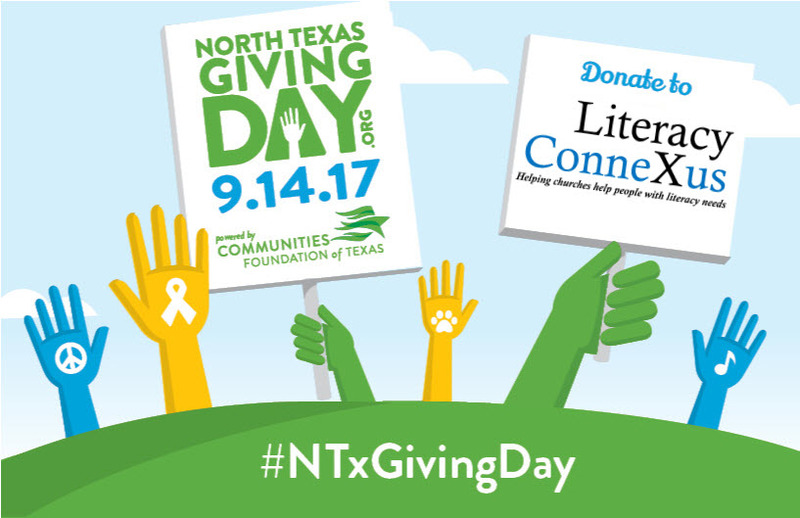 On North Texas Giving Day, your donation soars! Every dollar gets multiplied, some get matched, and others put us in the running for additional cash for the ministry. It’s a win-win-win for those we serve. Please plan to be a part of this special day by giving to this ministry. The funds we receive will bless children and families who have little or no books in the home, and adults struggling with language and literacy needs. Thank you for your continued prayers and support of Literacy Connexus!